TroveSafe™ Alarm System - TAV Networks, Inc.
Benicia, CA – TAV Networks, Inc., an engineering solutions company offering products and services for “The Industrial Internet of Things” has licensed the TroveSafe alarm system developed for truck cargos, shipping containers and secured storage units as a platform for future product developments. 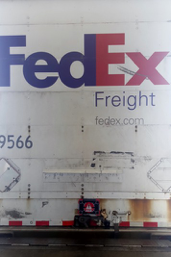 TheTroveSafe alarm prevents theft of valuable cargos by securing the outside doors with a tamper-resistant alarm system. TheTroveSafe alarm attaches securely to the doors, acting as a deterrent to thieves while also sounding an audible alarm and notifying the alarm owner wirelessly in the event of a break-in. 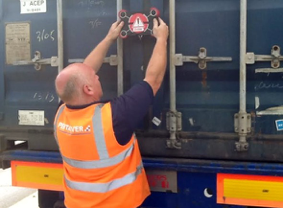 The value of TroveSafe as a deterrent also enhances driver safety. “We feel that the TroveSafe alarm provides an outstanding starting point for additional product development efforts where our expertise in wireless, cellular, and satellite technologies can enhance the functionality of the alarm”, said Joe Tavormina, President and CEO of TAV Networks. “We believe we can offer a compelling family of products based on the TroveSafe alarm that can greatly decrease thefts of critical assets in multiple industry segments”, he continued. Barry Schofield, President of Zenloc stated “We consider TAV Networks to be an outstanding partner to help develop future versions of the TroveSafe alarm. TAV’s capabilities for wireless technologies and asset protection for applications within the utility, industrial, and military industries are very important to our future plans for the TroveSafe alarm”, he continued. 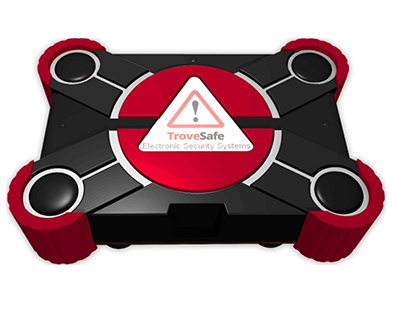 TAV Networks intends to offer an updated version of the TroveSafe alarm with enhanced wireless and reporting capabilities beginning in the second quarter of 2017. This product will securely protect truck cargos as well as assets located in secured storage units. For more information regarding this new product, contact Robert Coleman, Vice President of Corporate Development at TAV Networks, Inc. Mr. Coleman can be reached at TAV Network’s corporate office in Benicia, CA at 707-415-1000 extension 109. TAV Networks, Inc. has been delivering engineering solutions across an array of technologies and industries for over a decade. TAV’s experience in product design, network design, intelligent networked sensors and communications ensures project success. TAV has served not only the utility industry, but broadband communications, aviation and government as well. For additional information see the Company’s website at http://www.tavnetworks.com. Zenloc LLC is the developer of the TroveSafe alarm, a system that prevents truck cargo thefts and secures assets using a unique patented technology that acts as both a deterrent and an alarm system. For m ore information see Zenloc’s website at http://www.zenloc.com or contact Mr. Barry Schofield, President of Zenloc at 816-848-4435.